When Diggle receives new information about his missing friend — and the man who shot his brother — Oliver and Felicity join him on a trip to Moscow, where he infiltrates a Russian prison to save Lyla. DIGGLE GOES AFTER DEADSHOT - Amanda Waller (guest star Cynthia Addai-Robinson) sends A.R.G.U.S. agents to kidnap Diggle (David Ramsey). Waller informs Diggle that Lyla (guest star Audrey Marie Anderson) has gone missing after following a lead on Deadshot (guest star Michael Rowe) in Moscow. 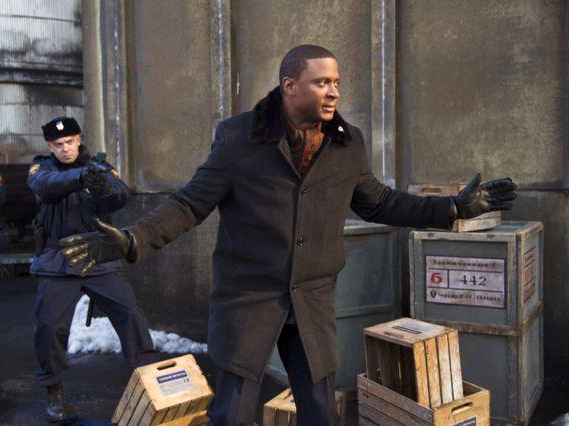 When Diggle tells the team he's headed to Russia to rescue Lyla, Oliver (Stephen Amell) and Felicity (Emily Bett Rickards) decide to join, but things get messy when Isabel (guest star Summer Glau) shows up on the tarmac and insists on joining Oliver's "work trip." Meanwhile, Moira's (Susanna Thompson) lawyer, Jean (guest star Teryl Rothery), tells Thea (Willa Holland) that dating Roy (Colton Haynes), a known criminal, is hurting her mother's case.